We are proudly present our partner Daesan Precision Co., Ltd (“Daesan Precision”). 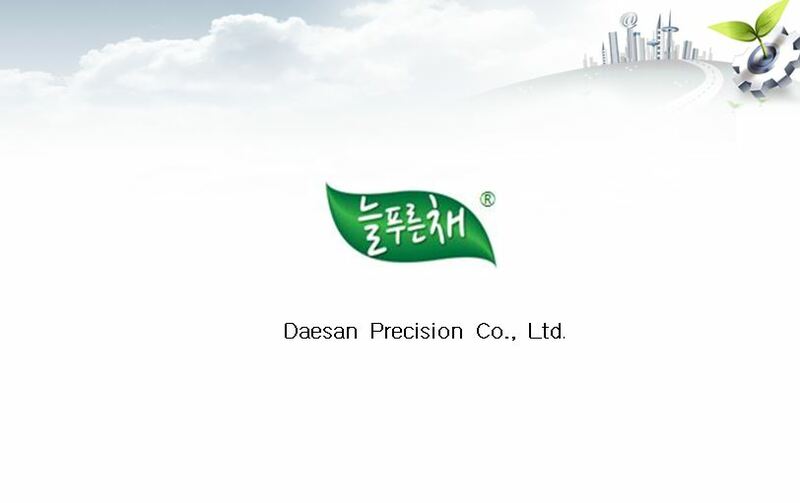 Daesan Precision is a company located in Korea who has been focused on making injection mold, hydroponic plant systems as well as consult and construct indoor green farm. These are some of the highlights Daesan Precision has accomplished. Distributes the product and its application to various industry in Korea and Japan including, but not limited to government facilities, hospitals, R&D labs in different universities and more. While many companies may offer custom solutions, their cost and efficiency may not be the right solution. This is due to lack of consulting, which leads to miscalculation in efficiency that includes price, space, number of plants to grow, number of hours in labor, total volume of the product and so on. All these elements matters and they are directly related to ROI. That’s where combined work of Medigrow Innovation and Daesan Precision differs. As a team, we will provide utmost efficient hydroponic solutions to clients which leads to clients satisfaction on their ROI. Click here to learn more about Daesan Precision. Contact us to learn more about powerful growing solution to help you increase the value in your investment.